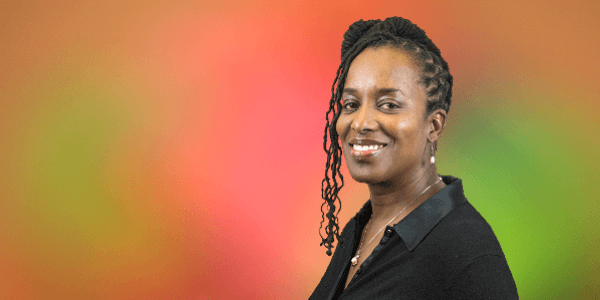 Cat Brooks is an internationally known leader, co-founder of the Anti Police-Terror Project, former director of Youth Together and now director of the National Lawyers’ Guild working to protect the public from police violence. Her leadership on education led to the passage of more college- readiness courses for Black, Brown and Asian students in Oakland. Raising Oakland’s Minimum Wage and providing Paid Sick Leave. Measure FF (2014) creates higher quality jobs for thousands of workers. Winning a nationally recognized Good Jobs Policy at the huge Oakland Army Base with job training, living wages and “ban the box” jobs accessible to all regardless of prior record. 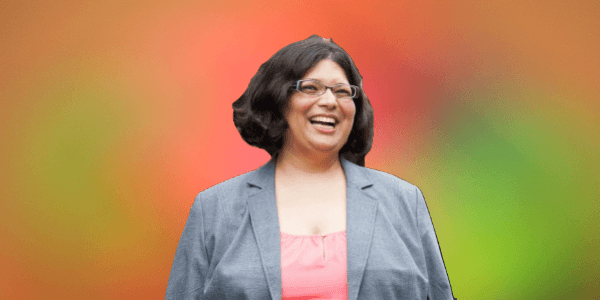 Nayeli Maxson is running for City Council to bring community-driven solutions to the housing crisis in Oakland. She experienced eviction as a child of immigrants. Nayeli brings concrete policy solutions in housing, economic development and public safety. She values a community- centered approach to governance, and brings a track record of change and experience as the executive director of a small business organization. 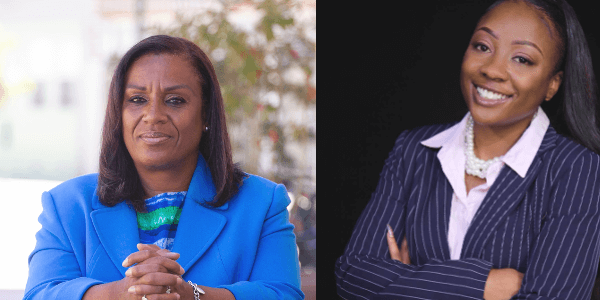 Pamela Harris is commi ed to ensuring safety, dignity, and prosperity for all Oaklanders – including immigrants, people of color, LGBTQ people, and the homeless. She is commi ed to community engagement and is an organizer with the Stonewall Democratic Club as well as a nancial consultant for Causa Justa::Just Cause. Desley Brooks deserves another term on the Oakland City Council because she has been a strong, creative advocate for the residents of District 6 and all the people of Oakland. In response to the rapid decline in the City’s Black population from almost half to barely a quarter of Oakland’s people, she worked to create the new Department of Race and Equity to ensure that people of color share in the City’s growing prosperity. 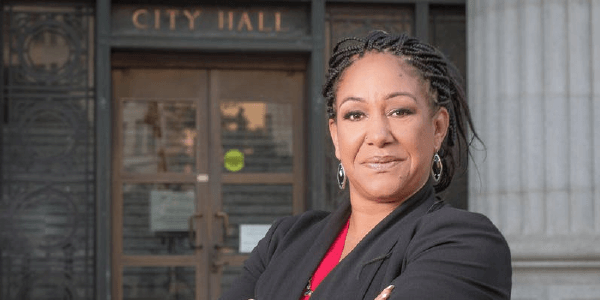 She created the Cannabis Equity Program to create opportunities for Oakland residents to share in the pro ts from the exploding marijuana industry. Mya Whitaker grew up in East Oakland and has a profound love for her city. She envisions Oakland being a place that is safe, where people aren’t afraid of our youth, but embrace them and help them to discover their unique potential. Mya is a Counselor for foster youth in Alameda County, Program Director of the award-winning Bay Area Debate League, and a commissioner for Oakland’s Police Oversight Commission. A nationally recognized parent leader, Clarissa is committed to a new day in Oakland Schools. Students, families, teachers, and school workers endorse her call for accountability, transparency and community involvement. As Executive Director of Parent Voices Oakland, she has delivered results in new resources and supports for students and families. She earned the early endorsement of Classroom Teachers for her commitment to accountability and community involvement in the budget. Oakland Schools can’t go back; it’s time to go forward! Shanthi is a product of great public schools, and gives a lot of credit to the teachers and caring adults she met while in school for her success and her love of learning. She was elected to the Oakland School Board in 2014 and has served as Vice President. Shanthi grew up in an activist family. Her father organized for the United Farm Workers and her mother was a social worker with Alameda County for over 40 years. Shanthi grew up on picket lines, at protest rallies and community organizing meetings. Shanthi’s rst campaign was during high school, when she was recruited to the No on Proposition 187 campaign by Californians for Justice. Cindi Reiss is a community college faculty member with 20 years of teaching experience. Her commitment is to pay close a ention to how public funds are used, and hold the District accountable for spending decisions. All spending must contribute to the mission of the Peralta Community College District. including Laney and Merri Colleges. She is opposed to selling Peralta land to private corporations, like the Oakland A’s because it should be used for students and the community, not private pro t. As a member of the Accreditation Commission for Community and Junior Colleges, she knows how to keep our community colleges strong. As a children’s mental health professional for decades, Jovanka has seen how the lives of our kids and their families can be transformed. 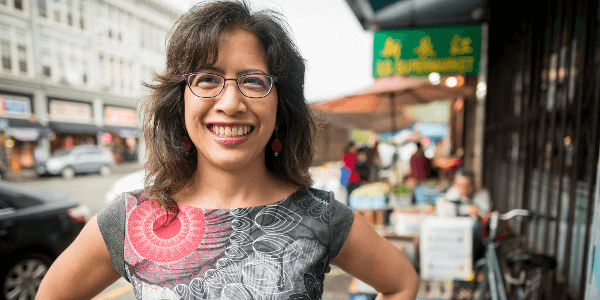 As a two-term Richmond City Councilmember, she’s experienced how working people can organize their community, overcome corporate control, and build a be er future. 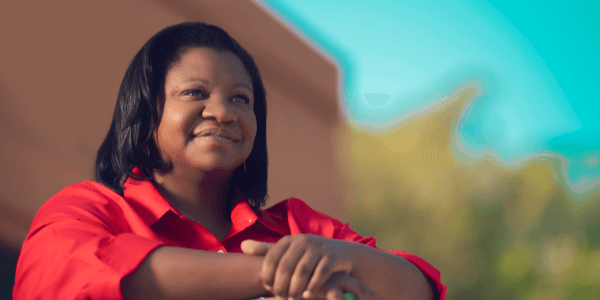 Jovanka is running for the California State Assembly to transform our state government to work for people. That is why she has never taken contributions from corporations or billionaires, and never will. RCV gives voters the power to rank candidates. In addition to your 1st choice, you can select your 2nd and 3rd choice candidates. RCV gives voters more voice and greater choice. You always get to vote your favorite first. This allows you to vote for your true preference based on your hopes and values, instead of the fear of “picking the most likely to win” among candidates running for the same office. You get winners who earn a majority of the vote when matched against their top opponents. This means the winner is more broadly representative. You don’t need to vote twice. There is no primary or runoff election, which would mean two or more separate elections. Instead, you get a winner in a single November election when the most people vote. Vote at any Polling Place in Alameda County. Just ask for a provisional ballot. If your right to vote is challenged, do not leave without voting! Request a provisional ballot – it will be counted. Vote without showing photo ID, unless it is your first time and you did not provide ID numbers on the registration form. Receive assistance, including curbside voting and translation of materials. Receive a new ballot, prior to casting your ballot, if you believe you made a mistake. Receive election materials in your language, if there are enough residents in your precinct to warrant production. You have the right to observe and ask questions about the election process. Individuals convicted of a felony are ineligible to vote while incarcerated and on parole. Voting rights are automatically restored upon completion of parole, and people on probation can vote. The formally incarcerated should re-register to vote. any polling place in the County. It takes 2 stamps, but the Post O ice will deliver it if you forget postage. If you did not receive your vote-by-mail ballot, call (510) 272-6933 now. Or go to any polling place in Alameda County and ask for a provisional ballot. If you lost your ballot, you have the right to a provisional ballot at any polling place in Alameda County. Oakland Rising Action is a community-led political organization focused on supporting leaders who drive a progressive agenda dedicated to racial, economic and environmental justice that puts Oakland’s working-class, immigrant and communities of color living in the flatlands of Oakland at the center of our city’s government. Our thorough endorsement process included a written questionnaire and panel interviews with select candidates. It engages activists, organizers and leaders of Oakland’s progressive left at each stage, with the goal of endorsing candidates who most align with our values, vision, and strategy for Oakland. Above are our endorsements for Oakland races that voters will decide on Tuesday, November 6, 2018. To ensure that we are building a thoughtful, progressive voting bloc that is accountable to our values, we offer some analysis as to how we landed our endorsements. As we look to the political future of Oakland, a few values loom large before us. Fundamentally, we are working to shift power in Oakland to advance racial, economic and environmental justice. We believe that Oakland can and should be a city that champions equity, that puts the issues and agendas of our neighbors who have been most impacted by systemic racism, poverty, neglect, environmental hazards and incarceration at the center of our city’s agenda. In order to make our vision come alive, we need progressive elected officials who will fight for strong protections to keep tenants, working-class homeowners, and long-time residents in their homes, and immediately shelter the homeless. We need community champions who will ensure that development happens without displacement and with benefits for long-time residents such as deeply affordable housing, high-quality jobs, and improvements to infrastructure. Public land should be used for the public good. Oakland’s approach to community safety is a key priority for us. We believe that safety must be addressed holistically, from holding police highly accountable in cases of police violence and corruption, to deeply investing in restorative justice programs, community-based reentry programs and decriminalizing people of color and the poor. Our belief is that a safe community is one where we work together to repair injustice and inequity, and truly look out for each other – in contrast to prioritizing the protection of property and militarization of our streets. We must have a culture shift in the way policing is done, and re-invest in strong public services like libraries and recreation programs that ensure safe, positive activities for Oakland’s youth. This also goes hand in hand with supporting strong public schools and a responsible budget that prioritize the voices and needs of students, families and teachers over highly-paid administrative staff. The current priorities of the Oakland City Council have contributed to a sharp increase in inequity in the face of booming development, notably the pushing out of our city’s Black population. We are supporting candidates who will shift those priorities to focus on ending homelessness and displacement, holding police accountable, investing in real solutions to crime prevention, and partnering with community members and progressive organizations to develop grassroots-led policy solutions to address community needs and ensure that the people of Oakland come first. We are supporting candidates who bring strong community roots, accountability to their base and their values, and a deep understanding of systemic oppression and how to make change through addressing root causes. 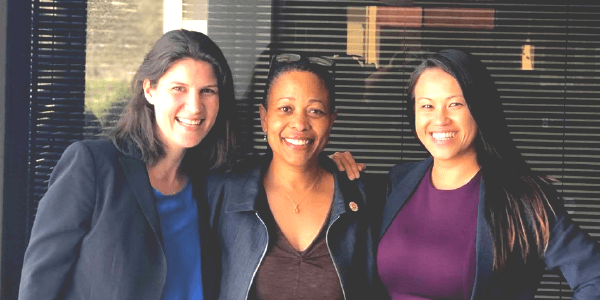 We also believe that Oakland should be leading the way in advancing the leadership of progressive women of color who are unapologetically standing for their values and the people with common sense solutions.